Exclusive 100% Jacquard cotton bedspreads and throws. These are manufactured and hand finished in Portugal. Perfect for an easy and quick makeover in the bedroom. Composition: 100% long staple cotton. Machine washable at 30 degrees centigrade. These Bed Runners and Cushions of the DIAMOND collection are soft, elegant and very decorative. Available in a wide range of colours so you can find the colour to match your stile and bedroom. The fabric is incredibly soft and the runners and bedspreads drape beautifully. A design with a higher class. Made from 100% pure cotton 360 g/m², in Portugal with the highest standards. Available in 3 colors. The Mirage range of bedspreads is made from 100% cotton 300 thread count sateen outer-fabric, giving the colour range a shimmering silky look. Beautifully quilted and hand finished in Portugal to extremely high standards, we have channel stitched this bedspread for a modern yet classic look. 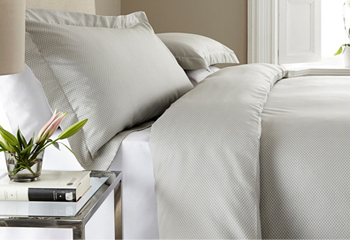 Carefully Manufactured in Portugal are these Cotton Bedspreads made from 100% pure cotton. These bedspreads and throws are the perfect addition to your Child's bedroom, they are cosy and warm in winter and cool and fresh in summer. Athena throwover is perfect all year round and the Jacquard bedspread adds a fresh, Mediterranean touch to any bedroom. With an embossed, raised surface to imitate the effect of quilting. 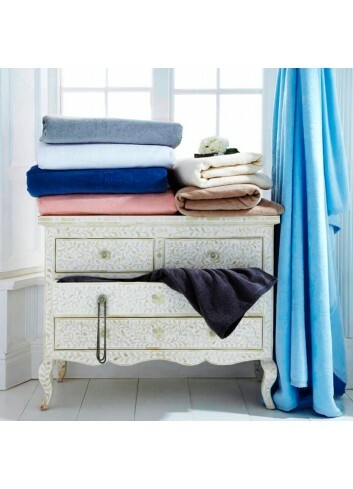 It is machine washable and can also be tumble dried on a low heat. Reminiscent of a traditional floral patchwork quilt, yet modernised and contemporary, this beautiful bedspread has a three dimensional structure (made on a jacquard) that brings a bright summer feel to your bedroom. Cotton rich. Made in Portugal with a blend of 88% cotton & 12% Polyester for durability. This Stylish Jacquard Woven Bedspread is manufactured to the highest standards in Portugal from 80% pure cotton combined with 20% polyester for a remarkable long lasting, soft and easy care finish. It is machine washable and can be tumble dried on a low heat. A beautiful circular geometric design, suggesting continuity and elegance, presented in 100% cotton. This subtle yet stylish bedspread will add a touch of class to any bedroom. Only available in cloudberry colour. Manufactured in Portugal to the highest standards, it is machine washable and can also be tumble dried on a low heat. Beautifully made from Pure Cotton, it has without doubt, the most regal appearance of any bedspread in the range. Available in cloudberry colour and white. Weight 360 grams per square metre.